For the style-conscious groom, a plain band just won't do. Designed by Kirk Kara to honor his father’s legacy, the Artin collection takes traditional men’s rings up a notch with subtle, unexpected details, all engraved by hand. 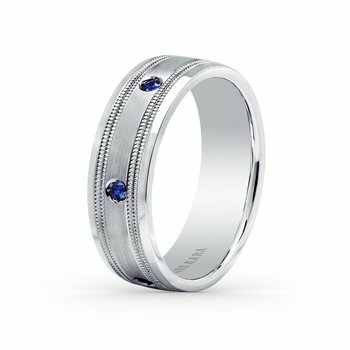 Our comfort-fit men’s wedding rings are available in a variety of styles and widths for tastemakers who appreciate the finer things in life – like superior craftsmanship and design.